What sets Biofield Tuning apart from other sound healing modalities? - Jackie Queally. What sets Biofield Tuning apart from other sound healing modalities? Why is it more powerful, accurate and life-changing? After briefly setting the scene by looking at how sound healing works, we'll examine the theory behind Biofield Tuning, an exciting therapy which is relatively new to Ireland and is yielding great results for many problems. For an experiential understanding of how it works, you can hear the healing power of a multi-dimensional gong and compare effects with the clear tones of the specially crafted tuning forks used in Biofield Tuning. I believe there is great potential for self-healing and creating lasting positive changes in your life with Biofield Tuning and will share some of my clients' feedback. Dowsing, or radiesthesia, is also a vital component of the therapy. This allows the practitioner to rapidly identify and date the causes of many imbalances in health and well-being. 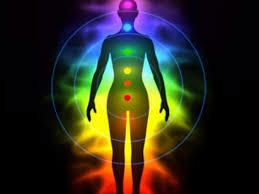 Distant healing is as effective as close-up with this therapy, as it works with the unified field of energy. Some practitioners only work at a distance! Again, I will share some examples of phenomenal and often unsuspected results with clients both near and far. This therapy works with our electromagnetic and electrochemical bodies to adjust our vibratory patterns to their original, healthy states of being which sustain our life force. In the future, medicine may take note more of how it works, and currently, Biofield Tuning is undergoing clinical trials in the USA. It is a worldwide phenomenon with larger numbers of practitioners in Australia, New Zealand, USA and Canada. Here in Ireland, it is in its infancy and I love to give clients live sessions followed by specially created visits to the Burren for what I call Immersion in Nature. This has a complimentary healing effect which is very necessary in these times.